A few weeks ago we travelled to Clinton SC to see my sorority little sister get married! Jessica is one of my 2 amazing littles. 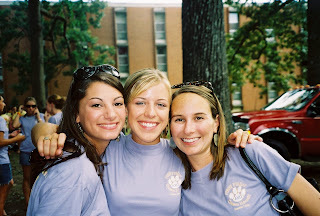 The 3 of us had some fun times in our Alpha Chi Omega family. I picked those 2 girls as my littles when they didn't even really know each other and then they quickly became best friends. I feel super lucky they picked me as their big sis and we have stayed in touch. I actually was friends with the groom in college before the 2 of them even met or became friends... small world! The wedding was beautiful and there were a ton of people there. I was the book attendant at the wedding so I showed up early to help out and take some behind the scenes photos. With the beautiful bride at the reception in Greenwood SC (about 30 min from Clinton). It was at this gorgeous clubhouse/plantation house on a golf course. 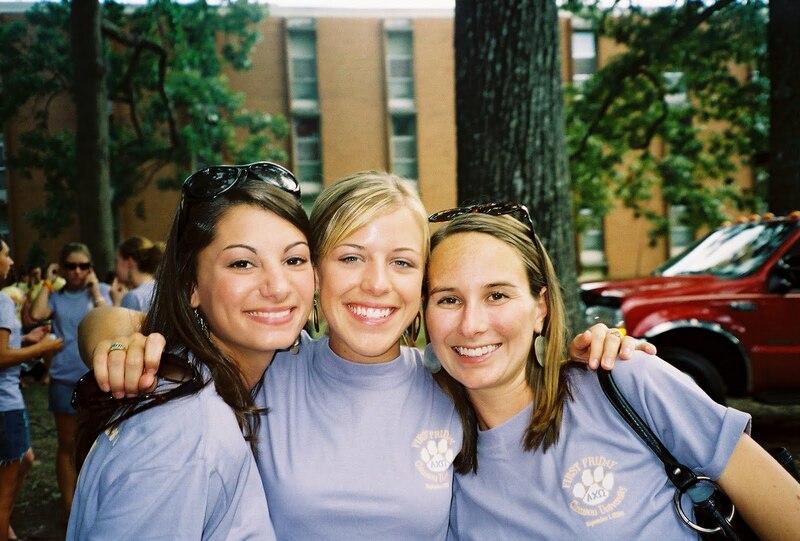 The lovely Alpha Chi girls. Hubby was sweet to take the pictures that I wanted with the girls that night! Don't ya just love weddings!?! Awwww! Such Alpha Chi love. I remember when Jessica sat behind me in Statistics class her first semester! Have you ever seen the television series Greek? I think you'd like it. Congratulations, you guys look good together.